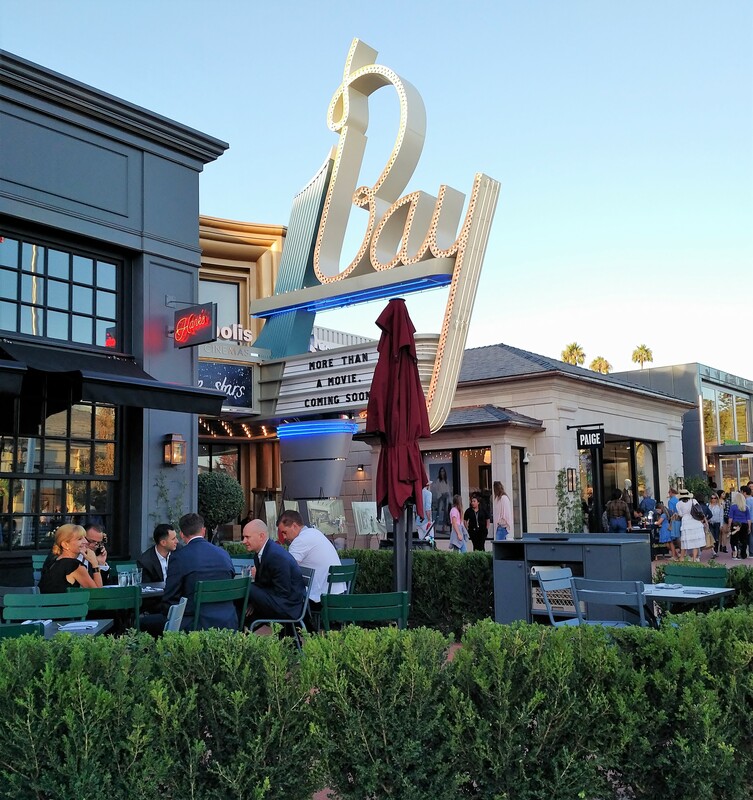 Comments on Nextdoor Palisades about Bay Theater by Cinepolis Luxury Cinemas that opened in Caruso’s Palisades Village in November are extensive and revolve around ticket prices and the lack of attendance. There’s also this odd discovery. In December, a reader sent Circling the News his receipt from the Cinepolis movie he had attended. 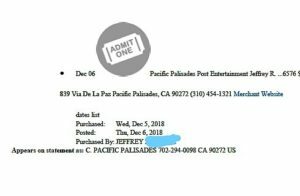 The resident had charged the December 5 movie tickets to his credit card and found that the merchant website showed up not as Cinepolis, but as the Palisadian-Post, with that newspaper’s telephone number (310) 454-1321 and its old address on Via de la Paz. CTN contacted Cinepolis and was directed to Murphy O’Brien Cinepolis Account Supervisor Bryan Hansen. While we had Hansen on the phone, we asked him if he knew that the majority of people on Nextdoor who comment about the movie theater state that $27 for an adult ticket is way too high. Yes, it’s keeping me away———–75 percent. I like that it keeps people away- —–4 percent. No, it’s not keeping me away——- 19 percent. According to Business Wire, “Cinepolis has 20 theaters in the U.S., in Texas, Southern California, Florida, New Jersey, Connecticut, Ohio and New York, with three openings this year and 10 new theater debuts projected through 2020, representing a 55 percent increase in Cinépolis USA’s portfolio of Luxury and Premium cinemas. Hansen was asked why Pacific Palisades did not have some of the promotions that other theaters in the chain have such as half-price happy hour and Tuesday discounted prices. Most local children under 12 are not dismissed from school before 3 p.m. and the ones that attend out-of-town private schools are rarely home before 4 p.m. Parents say that schoolwork and after-school activities make it difficult to take advantage of the discounted ticket price during the week. Hansen also was asked about movie attendance. Many Palisades residents have clicked on the theater listings, pretending to buy a ticket to check to see how many seats are available for a particular screening. Sadly, it is too greedy. Why would we throw money out the window when we could see the same in SM or Malibu for significantly less. It’s too bad. The stores on the whole in that complex are out of step…I go elsewhere. It’s too bad. Hi Sue – It is important to note that the on-line credit card statement shows the movie ticket vendor as Pacific Palisades Post ENTERTAINMENT (my emphasis) – which shows a definite business link between the Post and the Cinepolis Bay Theater. Is Palisadian-Post publisher Alan Smolinsky involved in the Bay Theater operation? Sure looks like there is a connection. And if so, why the secrecy ? Thanks for again bringing into the daylight an interesting and important detail of our Palisades community. – Jeff R.
Just a note: Your DVD player – at home – will play current movies beautifully – free from our Library, if you don’t mind waiting a month until it’s in stock. Make it a FAMILY NIGHT, invite a couple of friends over, popcorn, a snack from the kitchen shared by all while watching = TOGETHERNESS and no outrageous fees involved! Try it!! !